Heading into the penultimate weekend of this year’s Six Nations, three teams still have the opportunity to be crowned champions in another grand-stand finish. In Cardiff, Ireland continue their quest for a Grand Slam, against a Wales side who have recovered from an opening-round defeat to mount their own title challenge. 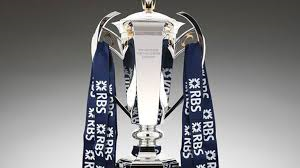 At Twickenham, England will look to bounce back from their chastening defeat in Ireland as they take on a Scotland side staring down the barrel of a Wooden Spoon campaign, while Italy face France in Rome, fresh from their surprise victory at Murrayfield in the last round. The match of the weekend by a long chalk, as two sides with title ambitions meet at the Millenium Stadium. Having recovered from their demoralising defeat to arch-rivals England in their opening match, Warren Gatland’s side have responded with victories in Scotland and France to reignite their championship challenge. While for Joe Schmidt’s side, a possible Grand Slam awaits following victories over Italy, France and England. However with trips to both Cardiff and Edinburgh to come in the final two weeks, Ireland will need to be on top of their game. Having gone with the same team that performed so solidly out in France, Wales have every chance of coming out on top against the Irish, having rectified a set-piece that had faltered badly at times in both opening matches. However, with the form fly-half in world rugby in Jonny Sexton pulling the strings for Ireland and the legendary Paul O’Connell winning his 100th cap, anything is possible. Following on from their Dublin drubbing, England return home looking to keep alive their championship hopes against a Scottish side still reeling from their last-minute defeat to Italy in Edinburgh. With both sides coming off the back of defeats, changes were to be expected but perhaps surprisingly Stuart Lancaster only chose to make two changes to his Red Rose team. The return of Mike Brown and Courteney Lawes to the side provides a greater cutting edge amongst the backs, along with a more robust presence and skill-set in the pack. As for Scotland, Vern Cotter has rung the changes with five in total, the most important being the return of fly-half Finn Russell, whose creativity was sorely missed against the Italians in the previous round. Given Scotland’s terrible recent record at Twickenham over the last few years, it would be easy to suggest that, with key players back for the home side, this will be a straight-forward victory for the hosts. However with Scotland desperate to avoid the dreaded wooden spoon Vern Cotter’s side will be determined to get one over their old rivals, and will be hoping that fly-half Russell can provide the same sort of magic seen in the opening two rounds, at Twickenham on Saturday evening. After back-to-back defeats to Ireland and Wales respectively, a Les Bleus side seemingly shorn of the confidence or spark that once characterised their game, head to Rome to try and save a campaign which looks doomed to fail. Phillipe Saint-Andre has once again failed to get the best out of his group of players with an unconvincing home victory over Scotland all to show for their efforts in this year’s tournament. With a World Cup on the horizon, Saint-Andre continues to walk a dangerous tight-rope as he struggles to find his best side. A third different scrum-half for a third straight game sees Sebastien Tillous-Borde replace the experienced Morgan Parra while there is also a new midfield partnership which sees the subtle handling skills of Maxime Mermoz complemented by the young and equally exciting Gael Fickou. For Italy, a rare opportunity for consecutive Six Nations wins, as they look to build upon their victory over Scotland with another victory over France. Having taken victories over the French in their last two meetings in Rome, Sergio Parisse’s Azzurri side will be desperate to make it three in a row, in what should be a tight, tense affair.